Power Eating is the deliberate and planned manipulation of nutrients in order to facilitate and/or augment physiological and biochemical adaptations for weight loss, weight gain or performance enhancement. In his book The Muscle Strength Nutrition Pyramid. Eric Helms, a natural bodybuilder and PhD candidate, describes a pyramid approach to nutrition. RMR is defined as metabolism during a time period of strict and steady resting conditions that assume physiological homeostasis. AEE is the energy used during and after exercise as well as NEAT (Non-Exercise Activity Thermogenesis). There are a number of online calculators that can help estimate RMR and AEE to determine your Total Daily Energy Expenditure (TDEE). These can be useful for weight gain and weight loss applications. The TEF is the processing of food for use and storage. TEF is highest for protein and fiber. A combination of a higher protein and higher fiber diet (TEF), a small amount aerobic exercise, and moderate amount of resistance exercise in conjunction with a moderate energy deficit, yields the greatest weight loss while preserving lean body mass. In my opinion, a moderate deficit is the best approach. If calories restriction is too low, one is at risk for nutrient deficiencies (i.e. <1200 KCAL). Energy balance is also essential for performance where weight loss or weight gain is not the goal, but energy to perform the activity is. In these cases, sufficient calories to fuel an activity is important. This will be discussed further under the carbohydrate section. Macronutrients are both energy substrates and signaling molecules that can be strategically manipulated, along with exercise, to enhance and promote desired goals and adaptations. During postexercise recovery, optimal nutritional intake is important to replenish endogenous substrate stores and to facilitate muscle-damage repair and reconditioning. After exhaustive endurance-type exercise, muscle glycogen repletion forms the most important factor determining the time needed to recover. The postexercise carbohydrate (CHO) recommendations is 1g.kg/ BM hour for four hours, then match activity needs. This is the most important determinant of muscle glycogen synthesis. Furthermore, postexercise protein and/or amino acid administration is warranted to stimulate muscle protein synthesis, inhibit protein breakdown, and allow net muscle protein accretion. The consumption of ~20 g intact protein, or an equivalent of ~9 g essential amino acids, has been reported to maximize muscle protein-synthesis rates during the first hours of postexercise recovery. Ingestion of bananas before and during prolonged and intensive exercise is an effective strategy and comparable to ingesting a 6% carbohydrate drink, both in terms of fuel substrate utilization and cost, for supporting performance. When carbohydrate availability is low, AMPK, a metabolic sensor, stimulates the production of PGC-1α, a transcriptional co-activator that regulates gene expression and energy metabolism. This results in increased mitochondrial enzyme activities, increased lipid oxidation, lactate removal and improved exercise capacity/performance. Proteins- Large macromolecules of one or more long chains of amino acid residues. Consuming a high protein diet (3.4 g/kg/d) in conjunction with a heavy resistance-training program may confer benefits with regards to body composition. Furthermore, there is no evidence that consuming a high protein diet has any deleterious effects. (Antonio, J., et al. 2015). Fats and oils are categorized according to the number and bonding of the carbon atoms in the aliphatic chain. The degree of saturation determines the melting point and stability. I recommend using olive oil for salads and low heat and avocado and coconut oil for moderate heat cooking. Athletes should focus on getting the fats in their diet from dark green leafy vegetables, flax/hemp seeds, walnuts, cold water fish, grass-fed beef, omega-3 eggs; and limit omega-6 (vegetable and seed oils). Saturated fat should come from grass fed, pasture raised animals. Low Fat/High Carb or High Fat/Low Carb? Metabolic Flexibility is the preferential state of substrate utilization. It allows for an individualized and periodized approach to fuel availability during training whereby substrate utilization is based preferentially on exercise intensity and duration, thereby allowing for optimal utilization of all energy substrates. Micronutrients are comprised of vitamins and minerals which are required in small quantities to ensure normal metabolism, growth and physical well-being. When it comes to micronutrients I say JERF- Just Eat Real Food. If you’re diet is 50-75% plant based and includes healthy fats and adequate protein, you are likely to get the vitamins, minerals and phytonutrients you need without having to rely on supplementation. Phytonutrients, also called phytochemicals, are chemicals produced by plants. Phytonutrients can provide significant health benefits. Phytonutrient-rich foods include colorful fruits and vegetables, legumes, nuts, tea, cocoa, whole grains and many spices. Polyphenols known as catechins (EGCG) are abundant in green tea. Green Tea Extract (GTE) has been shown to enhance endurance by increased metabolic capacity and utilization of fatty acid as a source of energy in skeletal muscle during exercise. Human studies suggest that green tea may contribute to a reduction in the risk of cardiovascular disease and some forms of cancer, as well as to the promotion of oral health and other physiological functions such as anti-hypertensive effect, body weight control, antibacterial and antivirasic activity, solar ultraviolet protection, bone mineral density increase, anti-fibrotic properties, and neuroprotective power. Cocoa consumption can be useful in maintaining good physical fitness due to the favourable effects on muscle and redox status during exhaustive exercise. Unfortunately, interfering with ROS/RNS signalling in skeletal muscle during acute exercise may blunt favorable adaptations and can attenuate endurance training-induced and ROS/RNS mediated enhancements in antioxidant capacity, mitochondrial biogenesis, cellular defence mechanisms and insulin sensitivity. The bottom line is that physiological doses (from the diet) are beneficial whereas supraphysiological doses (supplements) during exercise training may be detrimental to one’s gains. Hydration- How much Water Do You Need? Water acts as a building material, solvent, reaction medium and reactant. It is a carrier for nutrients and waste product, aids in thermoregulation and helps to serve as a lubricant and shock absorber. Water balance is regulated by changes in plasma osmolarity. There are numerous factors that affect water requirements and needs, e.g. climate, physical activity and diet. The Institute of Medicine of the National Academies recommends as a base line that women consume an average of 91 oz and men consume 125 oz. Intermittent fasting, limiting food consumption a couple of days per week, has a positive effect on longevity and can lead to numerous health benefits including: improved insulin sensitivity, increased sirtuin levels (anti aging genes) and increased DNA repair. These changes lead to improved stem cell function, improved mitochondrial function, and increased autophagy (cellular cleanup) and tissue repair. Antonio, J., Ellerbroek, A., Silver, T., Orris, S., Scheiner, M., Gonzalez, A., & Peacock, C. A. (2015). A high protein diet (3.4 g/kg/d) combined with a heavy resistance training program improves body composition in healthy trained men and women–a follow-up investigation. Journal of the International Society of Sports Nutrition, 12(1), 39. Bar-Peled, L., & Sabatini, D. M. (2014). Regulation of mTORC1 by amino acids. Trends in cell biology, 24(7), 400-406. Beelen, M., Burke, L. M., Gibala, M. J., & Van Loon, L. J. (2010). Nutritional strategies to promote postexercise recovery. International journal of sport nutrition and exercise metabolism, 20(6), 515-532. Bryner, R. W., Ullrich, I. H., Sauers, J., Donley, D., Hornsby, G., Kolar, M., & Yeater, R. (1999). Effects of resistance vs. aerobic training combined with an 800 calorie liquid diet on lean body mass and resting metabolic rate. Journal of the American College of Nutrition, 18(2), 115-121. Burke, L. M. (2015). Re-Examining High-Fat Diets for Sports Performance: Did We Call the “Nail in the Coffin” Too Soon? Sports Medicine (Auckland, N.z. ), 45(Suppl 1), 33–49. Burke, Louise, and Vicki Deakin, eds. Clinical sports nutrition. Beijing, Boston: McGraw-Hill, 5th edition 2015. Dreyer, H. C., Drummond, M. J., Pennings, B., Fujita, S., Glynn, E. L., Chinkes, D. L., … & Rasmussen, B. B. (2008). Leucine-enriched essential amino acid and carbohydrate ingestion following resistance exercise enhances mTOR signaling and protein synthesis in human muscle. American Journal of Physiology-Endocrinology And Metabolism, 294(2), E392-E400. González-Garrido, J. A., García-Sánchez, J. R., Garrido-Llanos, S., & Olivares-Corichi, I. M. (2015). An association of cocoa consumption with improved physical fitness and decreased muscle damage and oxidative stress in athletes. The Journal of sports medicine and physical fitness. Jéquier, E., & Constant, F. (2010). Water as an essential nutrient: the physiological basis of hydration. European journal of clinical nutrition, 64(2), 115-123. Kimball, S. R., & Jefferson, L. S. (2006). Signaling pathways and molecular mechanisms through which branched-chain amino acids mediate translational control of protein synthesis. The Journal of nutrition, 136(1), 227S-231S. Knuiman, P., Hopman, M. T., & Mensink, M. (2015). Glycogen availability and skeletal muscle adaptations with endurance and resistance exercise.Nutrition & metabolism, 12(1), 1. Moore, J., & Fung, J. (2016). The Complete Guide to Fasting: Heal Your Body Through Intermittent, Alternate-Day, and Extended Fasting. Simon and Schuster. Murase, T., Haramizu, S., Shimotoyodome, A., Tokimitsu, I., & Hase, T. (2006). Green tea extract improves running endurance in mice by stimulating lipid utilization during exercise. American Journal of Physiology-Regulatory, Integrative and Comparative Physiology, 290(6), R1550-R1556. Naderi, A., de Oliviera, E. P., Ziegenfuss, T. N., & Willems, M. E. (2016). 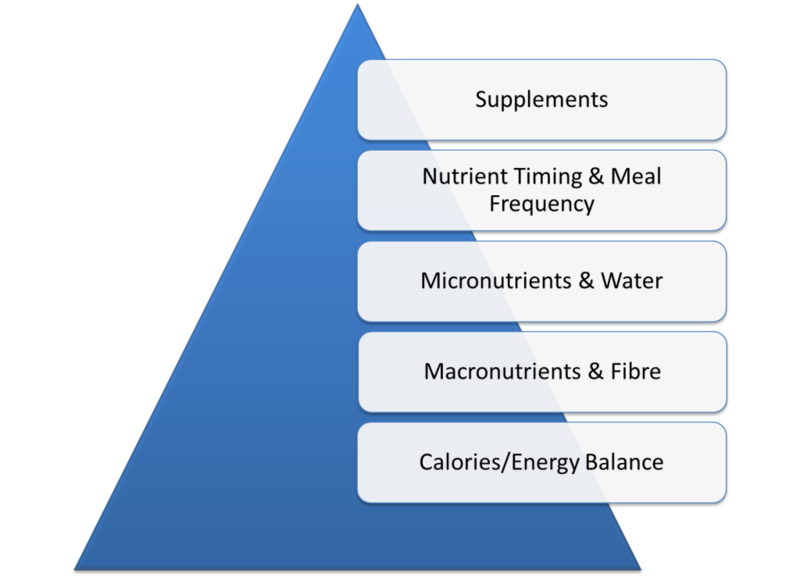 Timing, optimal dose and intake duration of dietary supplements with evidence-based uses in sports nutrition. Journal of Exercise Nutrition & Biochemistry. Nieman, D. C., Gillitt, N. D., Henson, D. A., Sha, W., Shanely, R. A., Knab, A. M., … Jin, F. (2012). Bananas as an Energy Source during Exercise: A Metabolomics Approach. PLoS ONE, 7(5), e37479. Simopoulos, A. P. (2008). The importance of the omega-6/omega-3 fatty acid ratio in cardiovascular disease and other chronic diseases. Experimental biology and medicine, 233(6), 674-688. Solon-Biet, S. M., McMahon, A. C., Ballard, J. W. O., Ruohonen, K., Wu, L. E., Cogger, V. C., … & Gokarn, R. (2014). The ratio of macronutrients, not caloric intake, dictates cardiometabolic health, aging, and longevity in ad libitum-fed mice. Cell metabolism, 19(3), 418-430.